Thank you to 2KM & 2KJ and B4 for sharing this terrific tool with us! I like how you have then clocks up. It is really useful for people because when they go on they can just go to here and see the time. I would also kinda want to know how you got the clocks up and for three different places? That is so cool that you know what time it is different places! In New Brunswick it is 2:50p.m right now! What is the elapsed time from where we live in New Brunswick to where you live in Michigan? Hello I am part of Techie Kids. I am actually one of Mrs. Moore`s students and well, sorry, I would tell you guys about the elapsed time. I am just not good with math. Bye. I love this clock. Thanks for sharing. I hadn’t seen it yet. We have a buddy class in the country of Georgia and my students would really benefit from seeing the time difference. 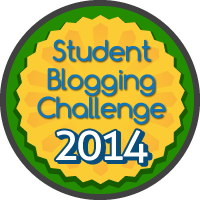 I like your blogs you should visit my classroom blog.Check it out,it’s cool! Thank you for visiting us! Some of us were able to visit your blog last week. We will be on our way for another visit this coming week. I can’t wait to see what your class is up to!